Thoughts on Mesa Mark V:35 combo? Discussion in 'Amps and Cabs' started by ColonelForbin, May 2, 2016. Anyway, here are the main points that caught my attention on the Mark V:35; feel free to chime in with any additional things to consider, plus or minus! I have a V:25, and have played the V:35 combo extensively. It's a great amp, BUT I didn't like the combo. Sounds too boxy. I like a separate head and cab much more. The Lonestar 1x12 23 is amazing with it. Ok boo on me but what the heck is a boxy sound? I thought this amp sounded pretty mighty. rummy, ColonelForbin and nolenuttt like this. I never played the combo. I own a 25. It sounds different through different cabs. Ive played it through many variable cabs. I prefer it through a 212 with v30s but thats me. rummy, ColonelForbin and lowpaygigs like this. The only Mesa combos that don't sound boxy to me are the bigger widebody models like the Electra Dyne and Roadster. Mark series amp IMHO need to be played through a closed back cabinet. I think the "boxiness" is more of a volume thing. Once you get it up to gig volume (not too loud really - just enough to keep up with a drummer)... they tend to sit really nicely in a mix. IMO it's not even a requirement for it to be closed back; it sounds awesome with a wide body open back as well. tmac and ColonelForbin like this. Good thoughts, thanks everyone! Much to consider, I need to track some of these down in person me thinks and do some playing and listening; ideally compare the head+cab next to the combo. I don't need to play anything that needs a cabinet that weighs more than the combo; no 2x12 or 4x12 for me! 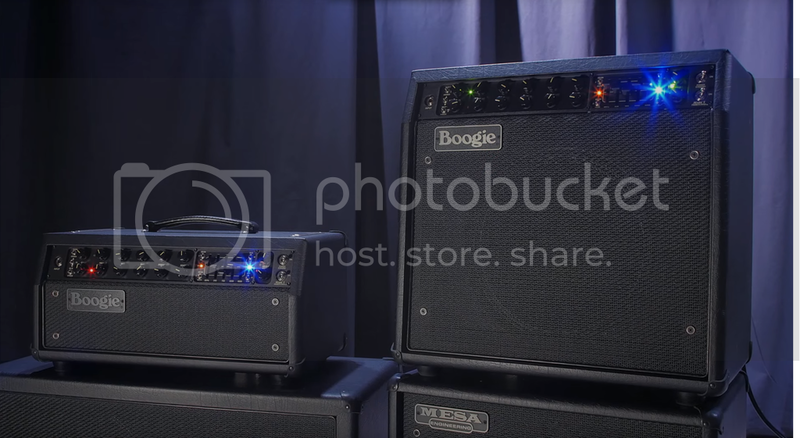 My ears are typically happy with a 1x12 combo on an amp stand type sound; though I do like stacking an open back combo on top of a closed back cabinet. 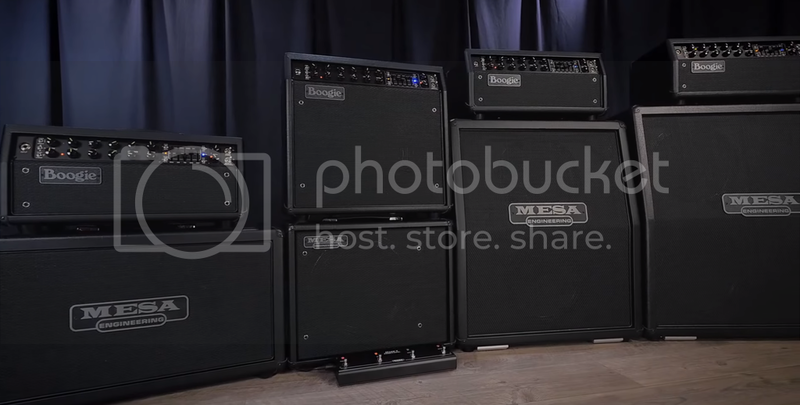 From watching one of the Mesa promo videos, looks like the combo stacks nicely on top of the Thiele 1x12 cabinet? love my MKV 35 combo. 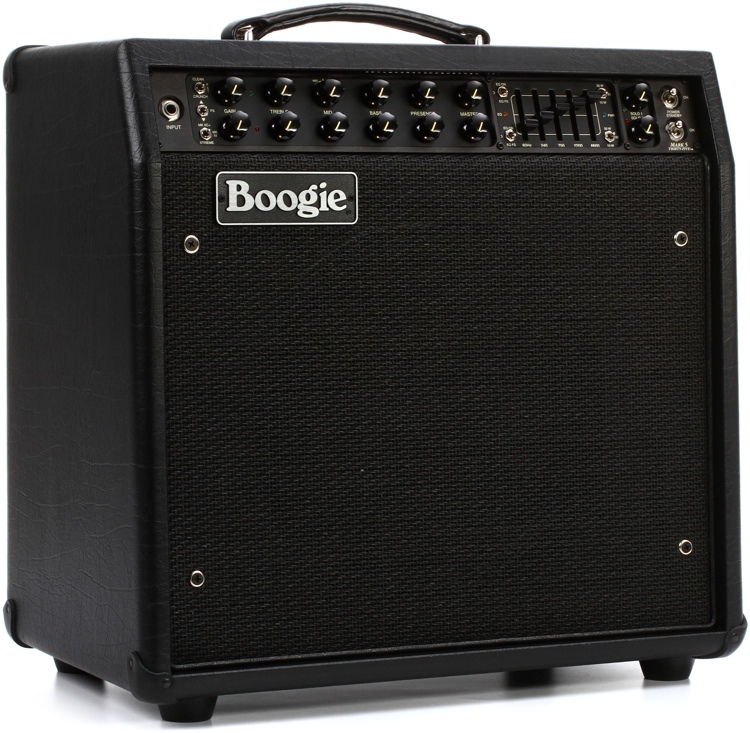 the small cab does make it more directional and less "big" I'd say, some would call it boxy I guess, & it does sound better through my larger Mesa 1x12 cab. But I love the classic small footprint Mesa combo like this. Easy to tote and punchy if you need it to be. Not as loud as the 90W MKV and a lot lighter. Perfect for my use. My only desire would be to have a "less gain switch/mode" on the lead channel. I'm running it pretty low in C+ mode, about 10:30 or 11:00 oclock on the gain pot. SOunds great and very happy with it but would like a bit more range on that channel to get more edge of crunch sounds and have the clean channel to just run pretty clean. Clean mode is great and crunch mode section of the clean channel is very good. I can take that amp, a wah pedal, and maybe some type of modulation pedal and cover all I need for a typical gig. nolenuttt and ColonelForbin like this. Maybe run a 12at7 instead? Evidently it helps with the V. I'm about to try it on channel 2 myself since I rarely get the gain above noon or 1. ColonelForbin and tmac like this. yes, was going to try that for the drive channel gain stage, just has way more gain than I need. But on the other hand it really does sound great so hate to mess with tubes right now...sigh...but I probably will at some point.